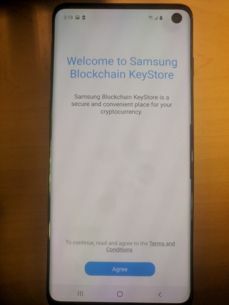 Samsung Galaxy S10 a wallet for cryptocurrency? In a twitter discussion, three interesting photos appeared on the account of one of the leaksrers. They suggest that in the Samsung Galaxy S10 software there will be a portfolio for cryptocurrencies. The photo was published by a user dealing - as it seems with a quick look at the profile - with the subject of blockchain and cryptocurrency. 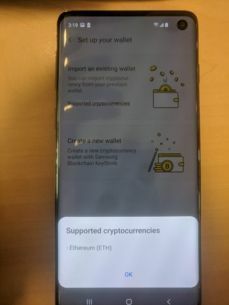 In the photos we see the front of Galaxy S10 with a hole in the screen and a narrow frame, and on its display appears a menu related to cryptocurrencies. 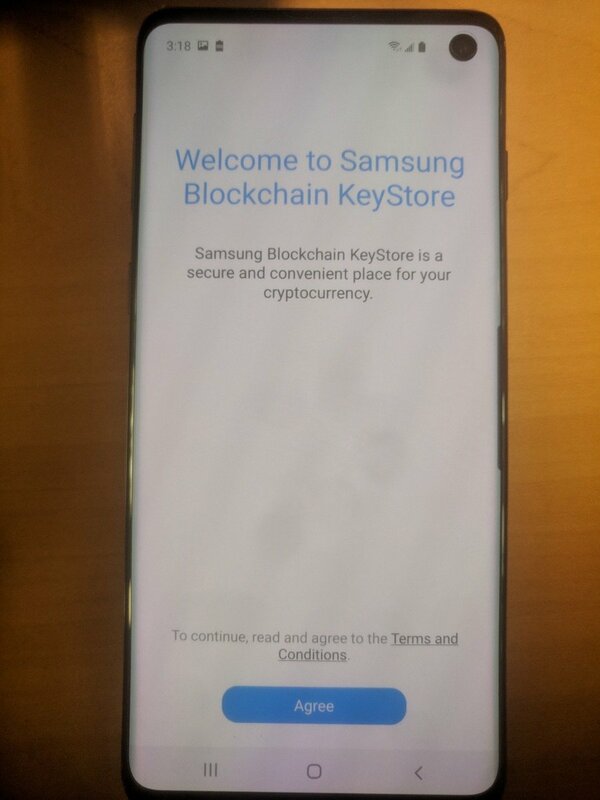 You can even see what is called Samsung's wallet: "Samsung Blockchain KeyStore". You can even see the fragment of the list of supported currencies - so far only Ethereum can be seen there. We can also notice that the wallet was placed in the "Settings - Biometrics and security" section. The whole thing will probably be protected by Samsung Knox. As rarely - I am inclined to believe in today's leak, because it comes from a person who probably deals with cryptocurrencies and can test a new solution before the official launch. It's possible ... 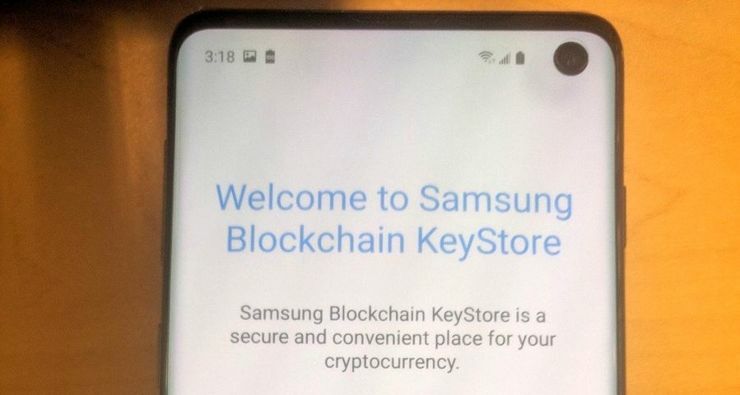 However, we do not know if the cryptocurrency service can be found in the standard S10 software, or rather the phone will appear in a special, blockchain edition. Source @GregiPfister89; viewed: 843 times.